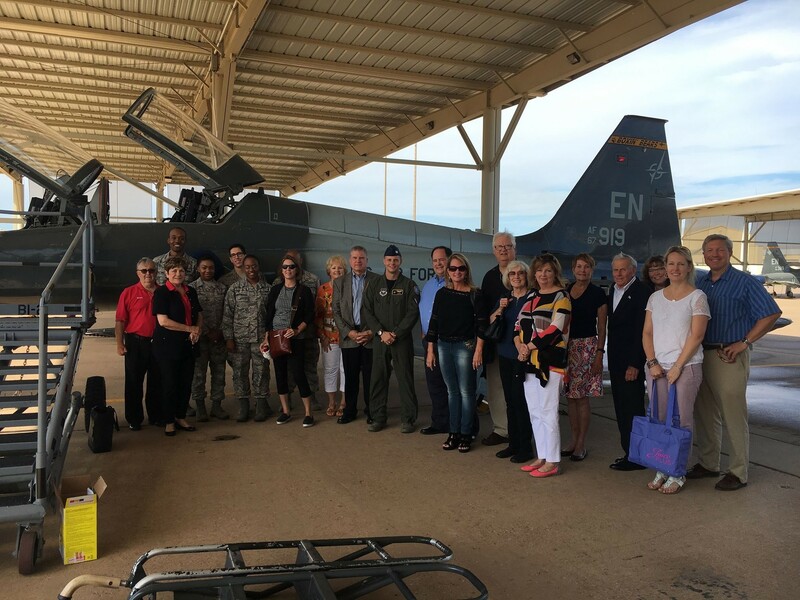 The International Friendship Committee was created for the purpose of promoting lasting friendships between the German contingent of the Euro Nato Joint Jet Pilot Training at Sheppard Air Force Base and the Wichita Falls community by hosting functions and attending activities aimed at acquainting one another with traditions and customs of our respective countries. Our committee meets about 6 times a year. Each event that we sponsor takes about one planning meeting to divvy up responsibilities. Our year begins with the German sponsored Oktoberfest, where we get to experience authentic German cuisine and music. Next, it is the League’s turn to host an American Thanksgiving dinner complete with turkey and the trimmings. During the dead cold of winter, our German friends introduce the League members and their families to Bossel-Tour (Road Bowling). Our committee ends the year by hosting a Family Picnic Day filled with fun and games for all ages! We have found that the universal events we share with our German friends such as the birth of a child, a graduation, parenting concerns, getting a promotion or fighting an illness unite us in friendship, happiness, and sometimes grief. Each country’s sponsor is recognized at pilot graduations and other NATO f unctions. 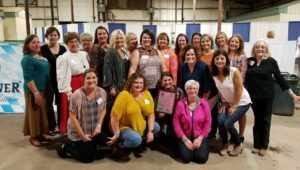 What seems like a small committee of the Junior League of Wichita Falls gets very big recognition at various Sheppard Air Force Base Events. The student pilots and staff instructors that the League sponsors today will be the leaders of NATO’s tactical air forces tomorrow! It is an honor and a privilege for the Junior League of Wichita Falls to be an integral part of such an impressive global program. Members of this committee represent the League, our city, and our country. It is a big responsibility and a truly awesome experience.